Learning how to sing and play piano at the same time is not an easy task, but if you follow along with these tips you’ll be able to nail it in no time! I won’t sugarcoat it - playing the piano while singing isn’t easy! Playing the correct chords at the right time, with the right tone, all while singing the words to the song is one of the trickiest things to pull off, no matter your skill level. But if you follow the tips outlined in this article, you’ll be well equipped to pull it off. If you’re in a hurry, here’s a quick overview of the tips covered in the article. ​5. Slow It Down - Use a Metronome If you have one! ​Now that we’ve gotten the basic points laid out, let’s go into a little more detail on how to sing and play piano at the same time. We’ll talk more about each of the seven tips, and why each item made it on the list. If you’re looking to find some resources to start learning, I've linked to a few handy sites throughout the article, so keep your eyes peeled! Sure, it’s not the most exciting or instantly gratifying thing in the world - but, it is important! Having good posture isn’t only essential for good tone and sound on your piano, but it’s also crucial for your other instrument - your voice! Sit up straight, breathe the right way, and don’t hunch over the piano. This will keep your singing voice in good shape while you play and practice. If you’re still feeling a bit unsure about your prowess on the piano, check out the section of right here on this site for a few more tips and tricks to help you master the piano. There are a lot of resources out there to make learning how to sing and play the piano a little easier. This article has a few nice choices, but not all of them have lyrics. Another good resource for aspiring singers has the chords lined up with the lyrics of a few popular songs - perfect for knowing when to change chords and time the music with your voice. If you’re familiar with another instrument, like guitar or ukulele, try and arrange the chords of a song you’re learning in a similar way. It can be helpful to see something familiar when you’re playing along. Additionally, having the chords lined up with vocal key changes helps a lot of students nail transitions that might otherwise trip them up. These pieces are usually no more than three or four chords, and have a melody that isn’t too complex that it distracts from playing the accompanying chords. Though keep in mind, you want to play a song in a key that is comfortable for your vocal range, to avoid straining your voice. If you’re not feeling quite ready to tackle a full song, there are a couple videos with just simple patterns. This tip is fairly straightforward - if you’ve ever practiced music before, you know it can be helpful to learn the chords and the melody separately, before combining them. But for some reason, it doesn’t always occur to students to apply the same tactic to singing and playing the piano at the same time. 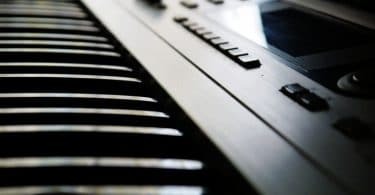 If you use an electronic keyboard to practice, there’s a good chance it has a recording function - you can practice, record your playing, and then sing along with the recorded notes. It’s a very helpful thing to try, especially if you’re struggling with nailing the timing. If you’re playing on a traditional piano, or your keyboard doesn’t have this feature - never fret! You can always record on a smartphone or digital recorder, and sing along with that. If you’d rather do the inverse, and record your vocals and play along with them, that’s fine too! Although, do be aware that it can be a little harder to stay on key. 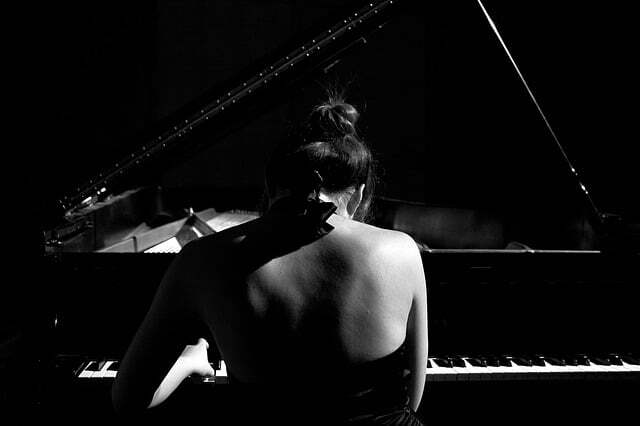 Learning the piece slow is discouraged by some teachers and pianists out there, due to the fear that the student will internalize a new timing and get ‘stuck’ playing the piece at a slower tempo. A metronome helps keep you from getting too comfortable playing at a reduced tempo, and gives you an easy way to speed back up to tempo when you’re ready. 6. Listen To The Song - Instrumental If You Can! 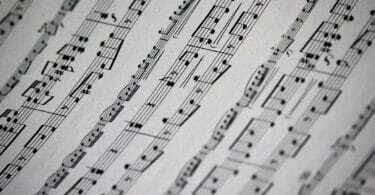 Listening to the song you’re learning can be very helpful. It helps you get a feel for the cadence of the melody and the musical tone of the chords, and if you can find an instrumental version (preferably, piano only) you can practice the instrumentals sans vocals. You can even sing along, or hum if you’re not too familiar with the lyrics. The most important part in this stage is getting a feeling for the timing and tone - so don’t worry if you don’t know the words - that’s the easy part! These tips are great ways to learn how to sing and play piano simultaneously, but just following them every couple weeks won’t get you there. It can be hard to tell just how long it might take you, but there’s one thing that’s certain - if you don’t practice, you won’t improve! In addition, make sure you’re practicing something you feel comfortable taking on. If you try to tackle a complex piece right out the gate, you might get discouraged by a lack of progress. It’s important to practice something that’s the right level to provide a challenge without being too challenging, or too easy. This one isn’t technically part of the list, since it’s not really a big enough concept to warrant having its very own section, but I wanted to include it anyway since it helped me personally. If you’re having trouble coordinating your playing with your voice, try this - sing a song while you do something, like wash the dishes. If you’re still looking for some ways to improve your ability to sing and play, never fear - there are plenty of resources out there for you. If you’re looking for books, I’m sorry to say there aren’t too many - though this Piano For Singers book seems like a perfect fit. The reviews seem to agree that it’s a great resource for beginners, but that advanced students might find the material too basic. If you have your heart set on a book option, check your local music store! They usually have a lot of knowledge and can point you in the right direction. There are a few more places online to help you nail your vocal and instrumental harmony - Doctor Keys is an online lesson website with a focus on vocal performance alongside the piano, and offers a one-time payment for access to their video lessons. If you’re looking for free options, this article is a great place to start - it lists 15 songs that are easy to learn to sing and play at the same time, and covers a pretty wide scope of musical genres, so I’m fairly confident that you’ll find something up your alley somewhere in the list. Finally, a lot of YouTube channels exist solely for the purpose of teaching you how to play along - they’re typically easiest to find by looking for the specific song you’re looking to learn, adding “piano tutorial” or “how to sing and play” to the name of the song, in your search engine of choice. If you’re on the prowl to try and track down a particular song and can’t seem to find it, you can always post on some piano messageboards online. Other people may have found what you were looking for in the past, and it never hurts to check. A great deal of teachers, whether they teach at home, come to yours, teach in a music store or other locale, will be familiar with vocal training. Playing and singing is a popular goal for a lot of students, so it’s a fair assumption your teacher has some experience with teaching how to sing and play. However, not all teachers do! If you aren’t sure if it’s something that your local piano teacher might offer, then ask around! Don’t be shy - if the teacher isn’t comfortable with singing, they’re not going to want you as a student any more than you would want them as a teacher - you’d each have different focuses in a practice session, and both parties would wind up feeling frustrated. I hope you’re feeling a bit more confident about learning how to play and sing after reading this article. Remember that mastering something takes effort, even if you’re passionate - so don’t be shy about putting in the work! If you do, I guarantee you’ll see results. If you’re still feeling a bit unsure about your prowess on the piano, check out the section of beginner info right here on this site for a few more tips and tricks to help you master the piano.